Munster is a washed rind cheese that always surprises and impresses with its range of flavours which trip between fruity, nutty, cocoa notes and some distinctly funky farmyard depths. Munster, like many washed rind recipes, can be traced back to the Middle Ages and would originally have been made by Benedictine monks in the Vosges mountains. Sources vary on the root of the name Munster (also the name of the town where the cheese originated). Some claim that the original monks were of Irish origin and named the area after their home province, others that Munster is a simple modification of the French monastère (monastery). Nowadays Munster is made on both side of the Vosges mountains. 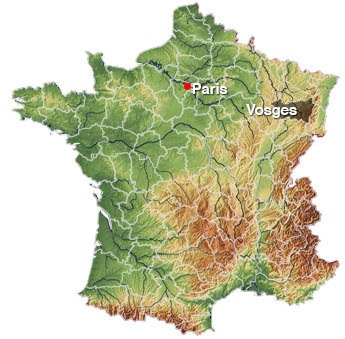 Our producer's small farm sits in the sweeping valleys of Eastern Lorraine. Throughout the year their Holstein cows are fed on homemade corn haylage - a fermented corn and hay mixture, the sweet, tart smell of which goes a long way towards explaining the boozy sweetness so characteristic of this farm's extraordinary cheese.